I was completely overwhelmed by the large but delicious breakfast I was served in Nyuangshwe, Myanmar. The bed & breakfast couldn’t feed me enough.. 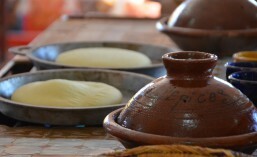 This entry was posted in Myanmar and tagged food, Nyuangshwe, Photo Challenges, photograph, postaweek2011. Bookmark the permalink. It was! 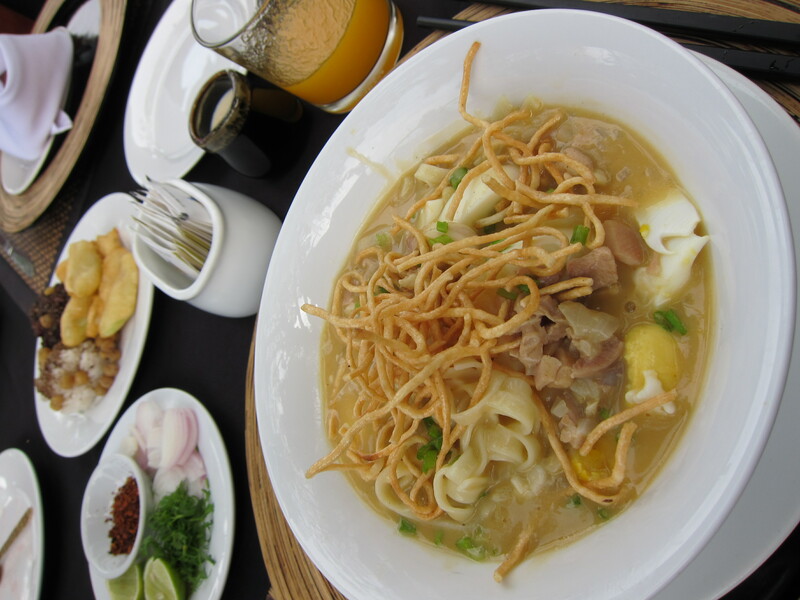 Chiang Mai chicken curry noddles is one of my absolute favourite dishes, and this is the Burmese variation of it. Oh my goodness. What a surprising breakfast! It looks absolutely delicious and definitely energizing. YUM! Definitely loaded up on carbs for the day and yummy for sure. But I also got a sense of food coma afterwards. Haha. I thought the same thing as all the plates came out! I love soup for breakfast! I love soups for breakfast. I actually never had soup for breakfast before. I always thought it more a comfort food after a long day. Thanks for visiting! That, it was! Thanks for visiting! You should definitely try it. The meal was delicious! It was heavy for me.. but a rare offering so I took it. I’ll stick to my oatmeal and coffee for breakfast on a regular basis. it looks like a wonderful lunch to me, rather than breakfast. glad you enjoyed this one! thanks for sharing.